Pacaya, my first volcano hike, well walk! 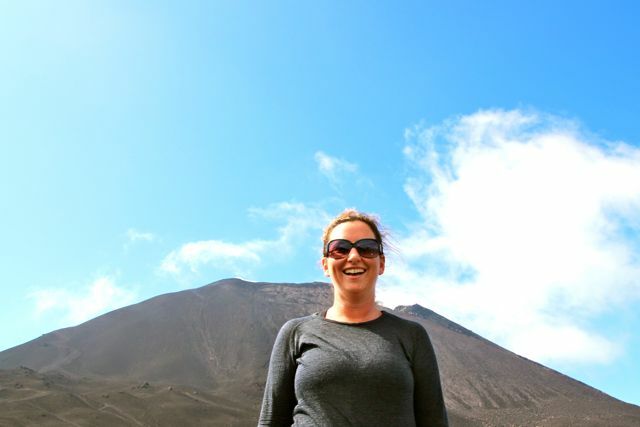 The hiking boots are out of the bag and back on my feet…thought it best to ease myself in gently so my first hike was to Pacaya Volcano, just outside of Antigua. It’s a very popular thing to do for people visiting around here and almost anybody could manage it. If you are feeling unsure there are a team of horses following the crowds up waiting for people to give up the fight and pay for a ‘taxi’. The volcano rises to 2252m, but we were not allowed to go quite to the top, as it is deemed unsafe at the moment. Instead we had to content ourselves with changing views of the cone as clouds swept over us while we toasted marshmallows in the hot ground.